新曾道人马报100期:Pirro: "I can't wait to get on the bike"
"I particularly want to thank all those who have been close to me after the accident, the doctors who helped me and the Dorna staff, the assistance was the best and the affection of the fans who made sure that my recovery was faster." Q: How do you feel about riding in the CIV? A: Falling down at Mugello meant I got a lot of beatings. The most affected part is the shoulder, in these days with physiotherapy I have made some great improvements. I did all the exams last week, I'm fine even if I feel a bit of pain and I miss a little strength but they gave me the ok to try to run. I return this Friday to the Italian Championship where we will try to do our best. Next week we have private tests. I will try and finish the races I have as a wild card at Misano and Valencia and give Jorge and Andrea a little bit to play for the World Championship. Q: What do you expect for the weekend and for the races? 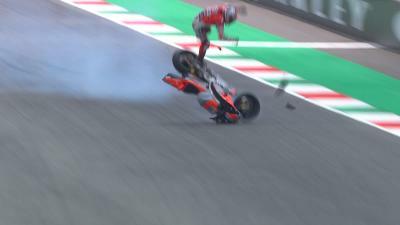 A: I can’t wait to get on the bike after such an accident. I wanted to do it immediately after the fall but I said it because I was on painkillers. When they took them from me, I realised it would be impossible. It will be a difficult weekend from a physical point of view. It’s clear that having won almost every race since I raced in the CIV, my goal is to return to being the winner after the accident, enjoy my riding and being fast. Q: And for the season? A: Continue to win. Completing a few races in MotoGP?, it's the only time I can compare myself with other riders and I also use it as a training. I also need it to improve my speed. 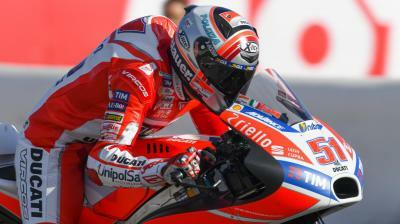 At Mugello I managed one session, unfortunately what happened took away the possibility of a great weekend." 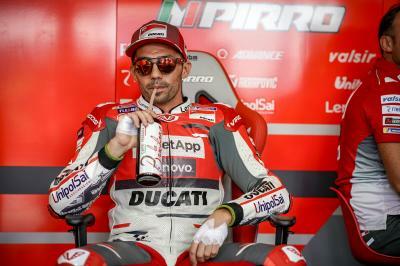 Q: You will test at Misano and then wild card in MotoGP?, will you do it in Superbike? A: We must not give up and Jorge finally found the right confidence, both can fight. No, no wild cards in Superbike. For the moment we have not talked about it. It is Ducati that decides but I am available. Otherwise, I’ll stay focused on my goals and that is to develop the MotoGP? bike. Happy to report that @PirroRider is on the mend ???? 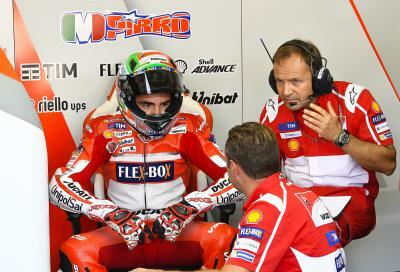 Q: On the topic of the Ducati Team, how do you see the situation in the box? A: On the one hand I'm happy that Lorenzo is now able to express his talent with our bike. On the other hand, I'm sorry because in the end it arrived a few weeks too late. 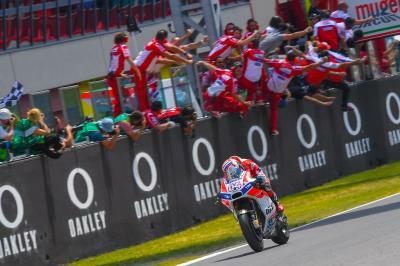 I think it's a big loss for Ducati, we have seen the potential of Jorge, when everything is ok, it can make the difference. Until a month ago it was difficult and so the choice fell on Petrucci, which I think is a very good guy and a very good rider. 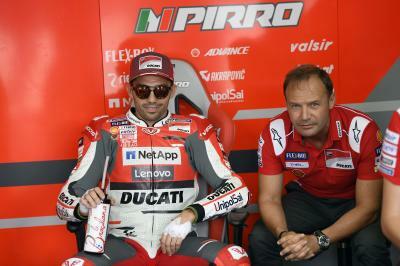 We give a strong rider to our competitors and it was better to have him at Ducati than as an opponent. 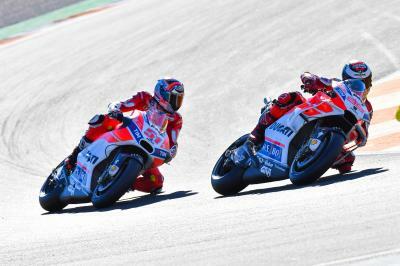 Q: Ducati has pursued the market, which now happens early in the season. What do you think? A: I believe that they must be done from mid-season onwards and there should be a rule that imposes this. I think the organisers have to act on this sort of thing. It is also bad in our case to think that next year Jorge will go to another team and give our knowledge to rivals. For example, at Catalunya the party after the victory was a bit ruined by the thought of next year. I myself start running in June and then I do a race in August, with the market already closed in March, I certainly can’t have the attention of any team. Q: Staying on the topic of the number 99, do you really think it was the change of tank or was it more a mental step of Lorenzo? A: It's a particular bike. What was done with Lorenzo was to make him understand that it took time. A series of details were then put together that allowed the rider's express their potential with the bike. Until recently, he could not express his potential because he wanted to ride the bike as he remembered, as it was his habit. But with the passing of the races, explaining that the bike had to be ridden in a certain way, it was worked from the point of view of ergonomics to make it feel less effort, use the strength of the whole body and less that of the upper part only. From this he found a benefit. From the middle of last season, he had already shown he could stay in front for several laps. His speed ? ?as a rider has always been there, but he lacked the consistency and that was due to the fact that he ridden the Ducati in an unnatural way. When one has the speed you only have to set some parameters and keep that pace throughout the race. This, thanks to what was tested by the engineers, eventually won two races in a row. It’s too bad that from this, the roads are have been divided. We never gave up on this. We gave our best when everything was dark. I also think that he felt more serene after having found an arrangement for the future. The bike talk made the difference, but more I believe the fact that after Le Mans it was quieter to have found the deal with Honda. It was said, 'now I ride free without having to prove anything.’ He made the difference. Q: For the 2018 Championship, what do you expect? 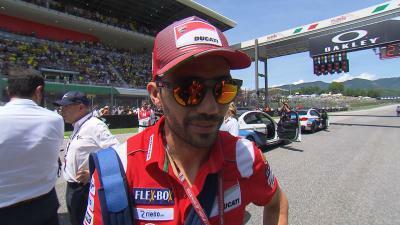 What does Pirro think about the Ducati 2019 Desmosedici? 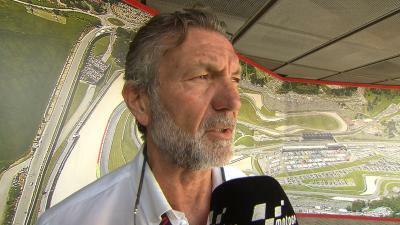 Pirro back but not on track: "I'd prefer to be on my bike"